Just shy of 700km long, Siberia’s Lake Baikal has become an increasingly popular destination for cold-weather travellers. 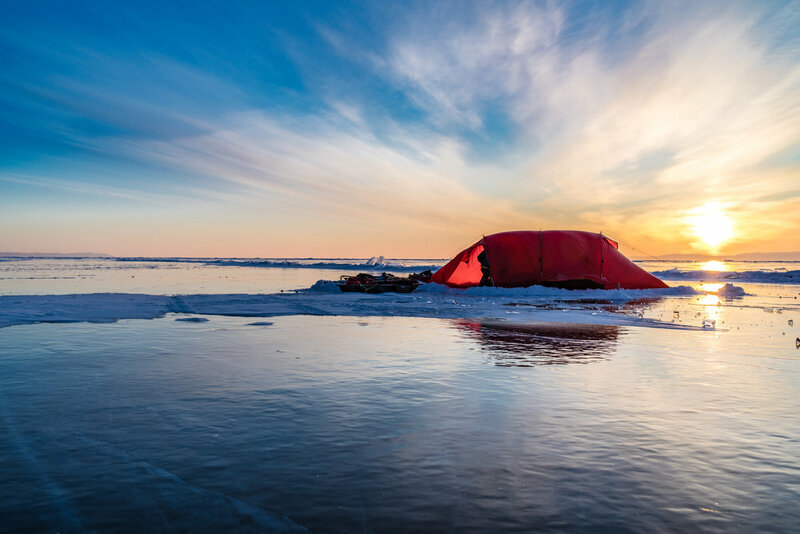 Temperatures on the world’s largest frozen lake can drop to the minus 40s, though this is rare in late winter, and visitors can face strong winds and open water. 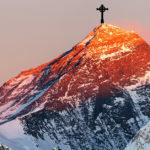 However, its ease of access and lack of more extreme temperatures and objective danger make it an ideal polar training ground — or as we are now seeing with speed record attempts, a sporting arena. This February-March, a few will try to make unsupported lengthwise traverses of the lake (circa 640km). This includes both soloists and teams racing for the speed record. 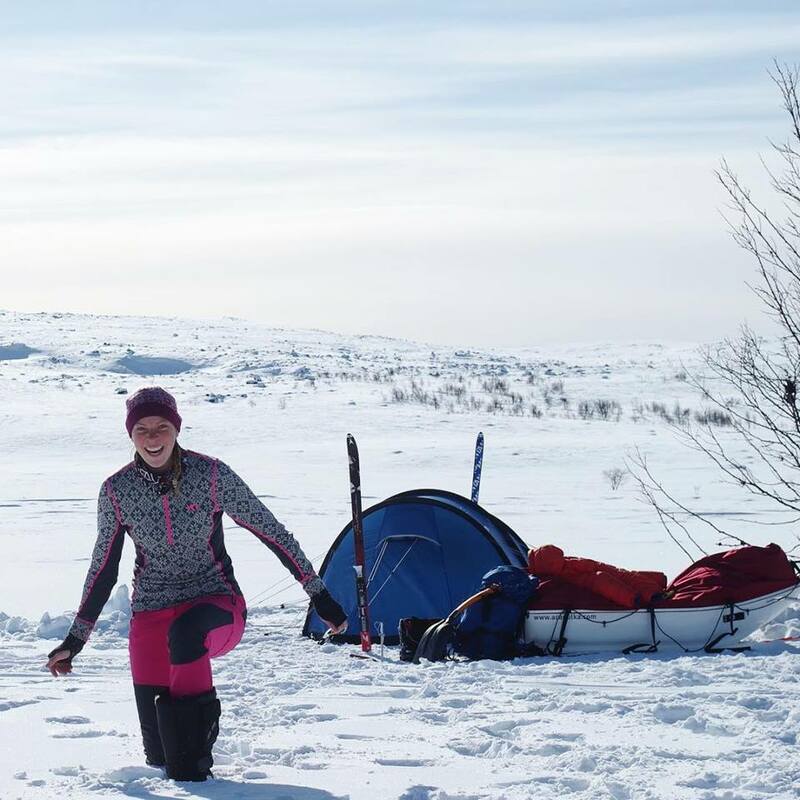 On February 11, Gina Johansen of Sweden set off from the southern starting point of Kultuk to try to hurry across the lake in 12 days — a speed record, if successful. Even if she finishes more slowly, she can still become the first Swede to do the entire distance solo. Johansen lives in the Norwegian arctic region of Finnmark: Last year, she skied 2,000km alone from Nordkapp in Norway to Salen in Sweden. Johansen swiftly covered 90km in her first two days, although she has had to take a brief pit stop on land due to a fuel leak. You can follow her live tracker here. In the first week of March, three Brits launch their own solo crossings. The experienced Rosie Stancer aims for a full south-to-north traverse. Stancer has skied to both Poles, including the Hercules Inlet-South Pole route, and she aborted just one degree short of a full solo North Pole expedition. Joining her, on their own solitary treks, are Phil Sturgeon and Mike Laird. 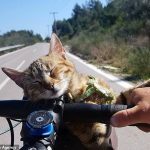 Last year, Sturgeon completed a 640km partial crossing of Baikal with a friend. Mike Laird, meanwhile, will start at the north end and ski south. 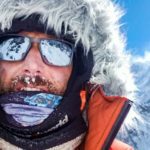 Laird has previously taken part in a guided 600km sled expedition in the Canadian High Arctic and cycled 3,000km in Australia. 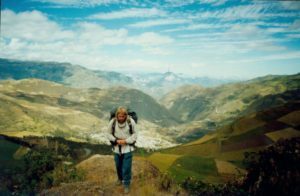 Finally, Spaniard Jose Trejo will trek a 450km partial route from midway to the southern tip. 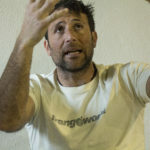 Trejo has spent nine years working on Greenland expedition logistics and has sailed more than 25,000km in arctic waters. Possibly the first team on the ice this season were three Spanish women: Chus Lago, Veronica Romero and Rocio Garcia. They started in Kultuk on February 1 and are over halfway toward a full crossing (end point unknown). 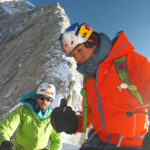 On February 18, Dan Born and Ladislav Smrz from the Czech Republic will leave Sludyanka to complete a full crossing in 19 days. Born is a product manager in Prague and Smrz a sled dog guide in Norway. If successful, Born may well be be the youngest to complete a full crossing. 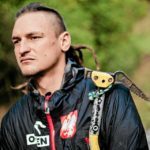 American Rick Garrigan and Polish endurance athlete Alijca Barahona will set off in late February to run south to north in a projected 15 days. A week later, Scott Gilmour and Michael Stevenson will seek to upgrade their speed record of 12 days, 21 hours and 13 minutes from last year. 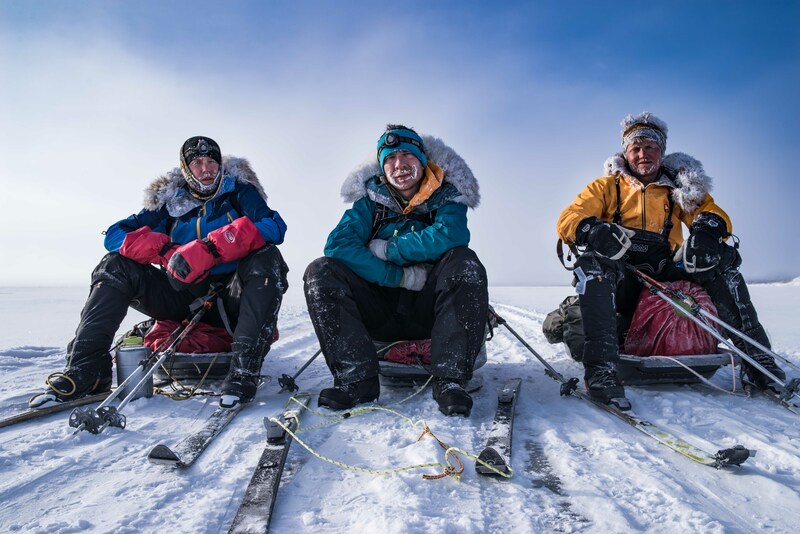 Gilmour is a polar guide based in Norway, while Stevenson works in mountain rescue in the UK. 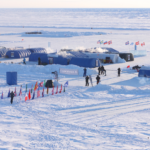 Meanwhile, Philip Hayday-Brown, a polar colleague of Gilmour’s, will join Jonathan Zeffert and Alex Buckland on a recce trip halfway along the length of the lake. 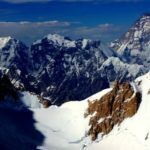 ExplorersWeb’s list of previous Lake Baikal expeditions can be found here. 21 Comments on "Sledding Season Begins on Lake Baikal"
I’m a Korean woman who crossed the Baikal alone in 2017.Here’s my gps. You can check the pictures on Google Maps. I share a video of YouTube. Let’s cheer for Gina’s solo journey like I did two years ago. Hi Kim, thanks for sharing details of your trip. Great video! Would you be kind enough to enter details of your trip on our spreadsheet? (link is in the article above). 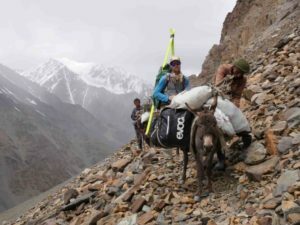 I can then, if necessary, update the article regarding Gina’s potential status as the first woman to do a full crossing solo, depending upon where you finished, support/assistance etc. thanks your replay. I’ll checking. I’m on a small island at now. I’ll fill it up by Monday. 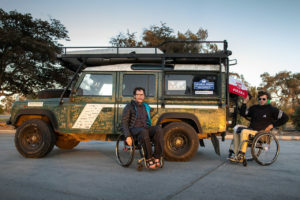 Hi, Round Square Adventures (Kirsten Scully and Nacho Roiz) will also be crossing Lake Baikal, accompanying Jose Trejo for the first 250 kms of his journey. We dedicate our summers to taking bikers on fatbike adventures in Western Mongolia. Thanks for the mention Ash and for taking the time to write this! It’s an honour to share the season with such seasoned cold weather adventurers. 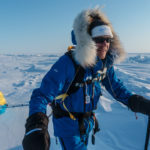 I would really appreciate it if readers would donate to the charity cause, Mind – The Mental Health Charity here https://www.justgiving.com/fundraising/alexontheice. Hope EW don’t mind the cheeky plug either! No mention of the Extreme World Races Black Ice Race on Baikal in March 2012…didn’t meet the criteria for your list…? Hi Kevin. Thanks for the reminder re the BIR. We didn’t have any confirmed details of who or what the precise route was. 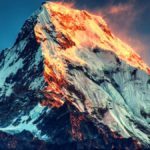 If you can fill in the spreadsheet with an entry (link in the article above) that would be appreciated. Thanks! Really curious as to why skating is considered “assisted”, but skiing is considered “unassisted”. Surely they’re both human-powered, just one over ice, the other over snow. What’s the difference? Hi Noel, the ‘line’ in terms of where equipment becomes assistance or not is a fine one. The issue is much debated! 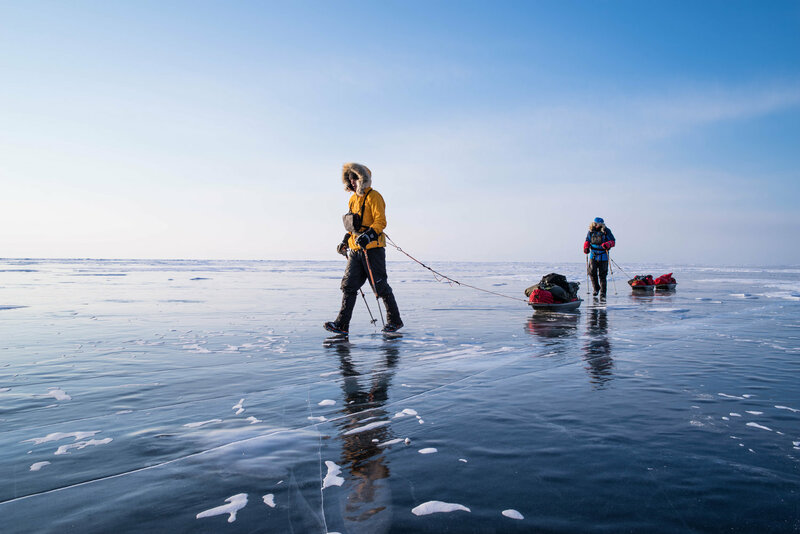 In relation to Lake Baikal specifically, skates provide a significant advantage over simply walking across bare ice – a proficient skater could easily cover 70 km in a day. On hard snow or bare ice, walking is for most people as/more efficient than skiing, and thus any assistance of skis is negated. And of course skates are no good on snow. Ha 🙂 I had to guess from available information Gre. Please do change to your correct nationality! Thanks Jose, we weren’t aware of this one. 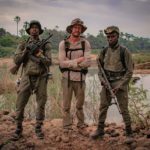 I rely on press releases or information from local guides, and some trips fly under the radar. Please could you tell me what nationality the team are, when they started, start/finish points, if they are guided etc? They must have very good knowledge of the ice conditions, as they started very early! https://www.facebook.com/Compromisoconlatierra.Chuslago/ you may find all you need in this link. They are 3 Spanish women, without guide. Thanks Jose 🙂 I’ll get it translated and update the article accordingly! I just want to wish all those out on the ice and those still to go out on the ice this season a lot of luck and fun. It should be awesome. Hope to see some of you along the way. And a big THANK YOU to Ash for putting this all together! Namaste Kim. really an outdoor adventure, I love to visit there one day. Thanks Ben, sounds like a great plan. I’m currently in Norway on my own sledding trip. I’ll update the article when I get back. In the meantime, the best of luck on your journey! 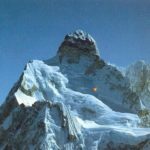 So, What Exactly is "Alpine Style"?